RUN CRANDIC powered by the University of Iowa Community Credit Union is a unique athletic and social event that brings the Corridor together. The marathon and half-marathon will take place on Sunday, April 28, 2019. 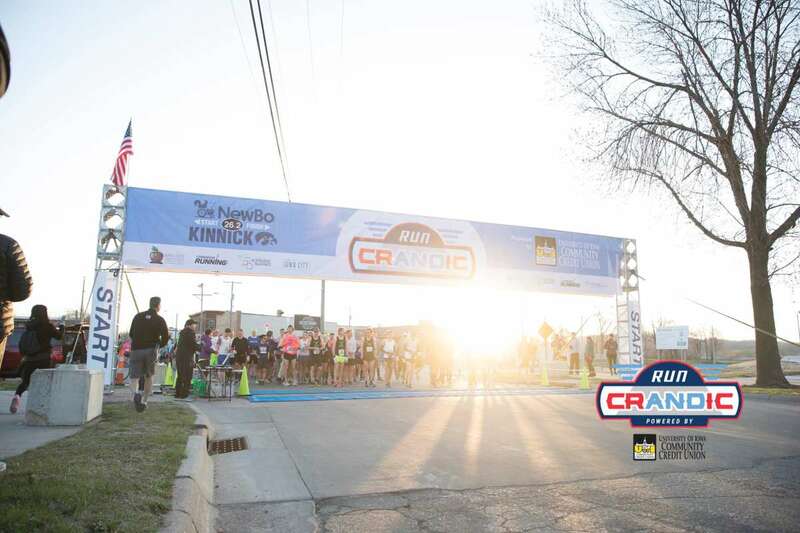 We are excited to announce the marathon will start in Iowa City and end in Cedar Rapids! The Marathon is a point-to-point route beginning in Iowa City at Lower City Park and ending in Cedar Rapids' Czech Village. Runners will begin at the new Iowa City Park Road Bridge and head out of town via Dubuque Street to Highway 965. At 120th Street near Swisher runners will cross over I-380 to Shueyville. They will then head north on Club Road and enter Cedar Rapids via Kirkwood Blvd. and Bowling Street. Runners will reach the 26.2 finish line in historic Czech Village near the iconic Bridge of Lions. The Half Marathon is an in-and-out route beginning on the Bridge of Lions in Cedar Rapid's historic Czech Village. Runners will head south of town on the trail and connect with the full marathon at the intersection of Club Road and Wright Brothers Blvd. Runners will enter the gates of Czech Village and cross the finish line in the heart of the neighborhood. This year's 5Kish and added 10Kish will be taking place Saturday, April 27 in Iowa City. Both the 5Kish and 10Kish will be a rolling start - which means you can run anytime between 11am and 4pm. All participants must start by 3pm to qualify. This will not be a competitive race. There will be no day of registration. The race will be timed and results will be announced at the post-race party on Sunday.